At Skin Health Studio, we focus on true skin correction using a bespoke approach to skin treatments and one of beauty from the inside out. Over the years we have discovered that what you put into your body plays a significant part in the health of your skin, in addition to the products and treatments you apply. This has shaped our approach and the treatments we provide at the Skin Health Studio. It also means we place a large emphasis on educating you on how you can have the best skin possible with the addition of internal supplements, home care, and what impact your nutrition has on your skin health. Owner Jemma Moran and trained therapist Heidi Jensen can help you with any of your skincare needs. Skin Health Studio is also a member of the New Zealand Association of Registered Beauty Therapists Inc, so you know you’re in safe hands. Skin Health Studio was established in Dunedin’s St Clair in 2010 by Jemma Moran. After spending ten years saving skin in New Zealand, America and the UK, she felt it was time to bring this knowledge back to her hometown of Dunedin. 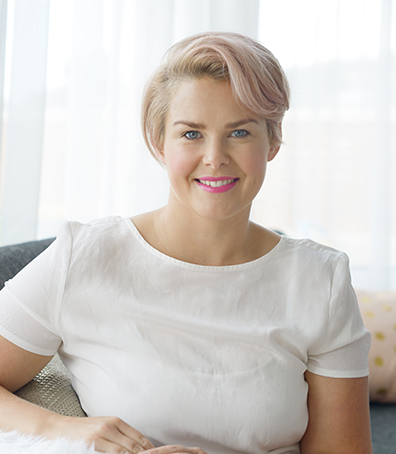 Jemma’s career in beauty therapy began while studying at the National School of Aesthetics in Christchurch, followed by her first job at Body Synergy in Dunedin. After helping the owners build their clientele, Jemma decided it was time to spread her wings and head overseas. Travelling the seas on cruise ships as a facialist wasn’t for her, as she felt she couldn’t fix her clients skin issues only seeing them once. Jemma headed to London and landed her dream job as a skin corrective therapist at one of London’s leading skin clinics. Clinic Owner Donna Gershinson (one of London’s top educators in advanced skin analysis and expert in treating extreme skin conditions) became Jemma’s mentor and tutor for the next 5 years. Working under Donna was one of the best work experiences as it provided access to elite trainers such as plastic surgeons, doctors, nutritionists, endocrinologists and NZ’s own amazing skin expert Florence Barrett-Hill. Having worked on skin for 15 years now means that Jemma has a lot of experience and knowledge to help her clients achieve lasting results. Jemma is also currently a finalist for New Zealand Beauty Therapist of the year 2017.